Pammy Blogs Beauty: Doing Hair is Fun for the Whole Family with Milk & Sass Hair Accessories! Doing Hair is Fun for the Whole Family with Milk & Sass Hair Accessories! With a little girl with long hair, I am always looking for ways to make hair time fun! 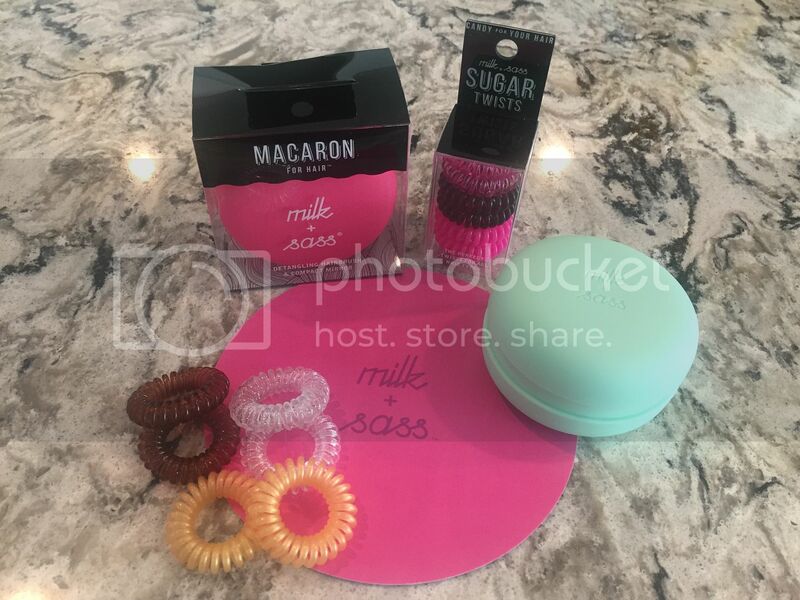 Well, I sure found it with these adorable hair accessories and detangling brushes from Milk & Sass! Not only does my daughter love these items, but I love using them on myself, too! 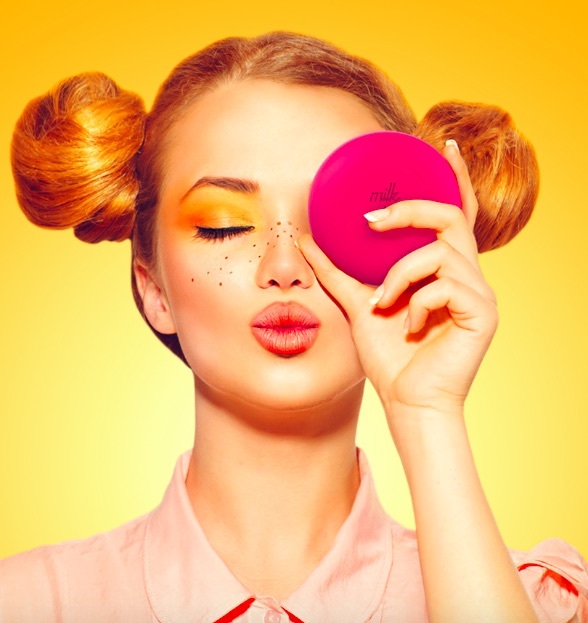 This is such a fun line of candy-inspired products to make hair care easier! Milk+Sass® is on a mission to wrangle tangles, eliminate breakage, and maximize shine. A leading innovator in premium hair products, our candy-inspired detangling brushes and accessories are made for men, women, and children of all hair types and textures--from the curly-headed beauties to the straight-haired stunners. I have shoulder length hair that is super prone to tangles. It is dry and damaged from highlighting. I am always looking for solutions for detangling and I also want hair tools that are super gentle on my hair. My daughter's hair is very long and fine. It is in awesome condition, but it is prone to tangles. My son's hair has a mind of its own (like him!). His hair is super thick and straight and his is cut in a longer toddler "surfer dude" style. I have really enjoyed exploring a few items from the Milk & Sass line! 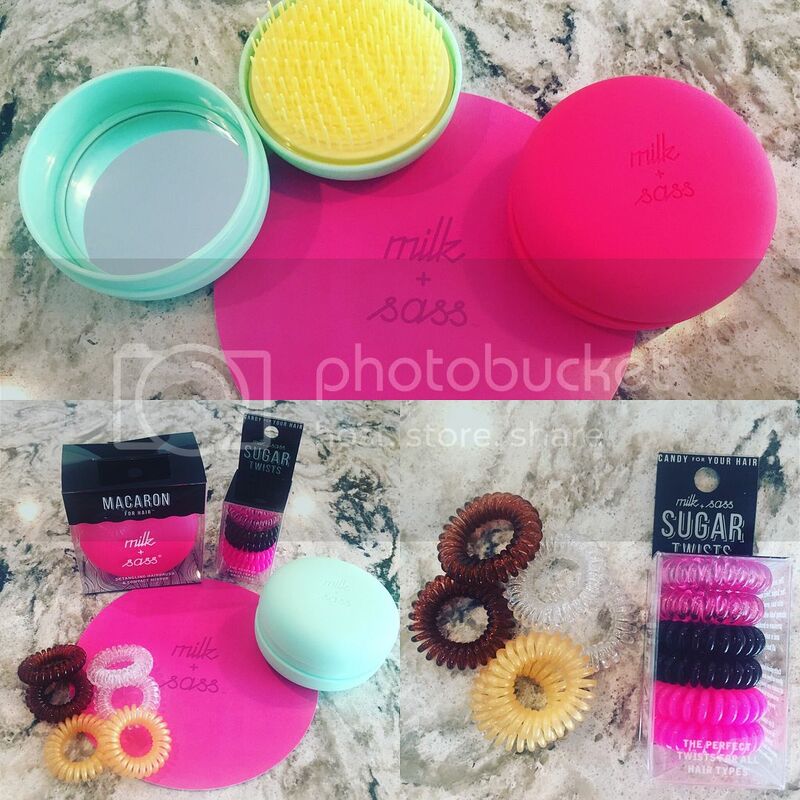 These items have not only made getting my kids' hair done easier, but I love using the Milk & Sass hair items on my self, too! To find out more about each Milk & Sass item I tried, please click "read more" below! 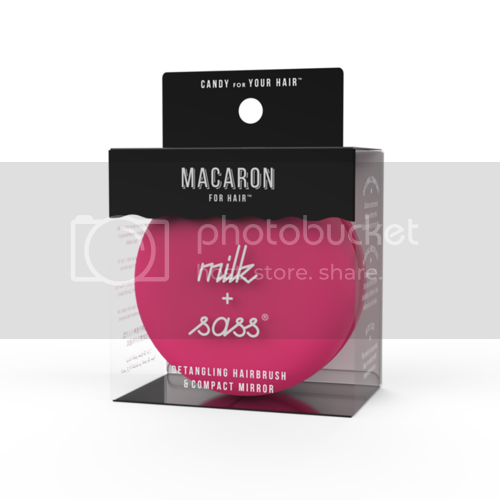 Let's start out by talking about the Macaron For Hair! 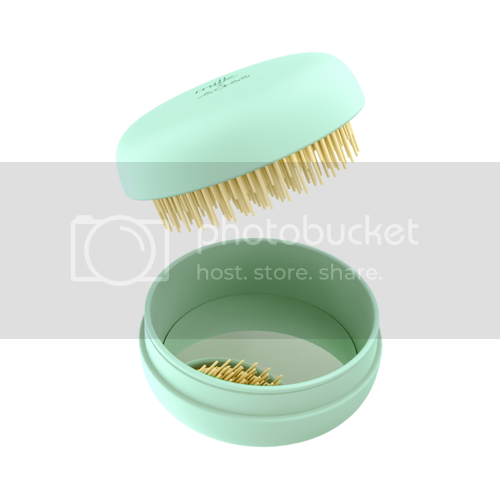 How cute is this little compact detangling brush? It looks like a delicious macraoon and it fits right in the palm of your hand. The compact size makes it ideal for your purse or travel. Plus, my daughter just thinks that the small size is super cute, too! I keep one of these in my purse and one in my kids' bathroom. This little detangler easily fits into your purse, pocket, or bag. The protective cover protects the bristles and has a mirror on the inside. The design is ergonomic for comfort and control when you are brushing. The radial bristles detangle twice as fast on all hair types effortlessly! Works wet or dry! 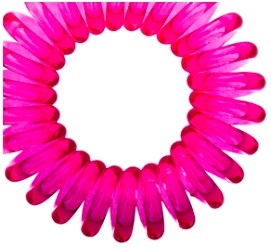 Say goodbye to traditional hair bands and hello to these cute and easy to use Sugar Twist hair ties! Sugar Twists unique curlicue design give weightless and uneven pressure to the hair. They offer a secure hold and less damage (and less of those annoying hair "dents"). Plus, they are comfortable and are less prone to causing hair damage or breakage. Plus, how cute are these! I really love using them in my daughter's hair!!! I really love how these Sugar Twists stay in place! 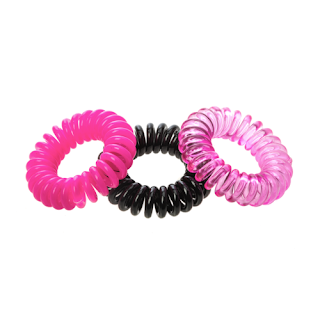 They are great for ponytails and updo styles. Plus, they are washable! If you are looking for some super fun hair tools and accessories. Be sure to check out these adorable options from Milk & Sass. These would make great gifts, too!